Getting my entire family around the dinner table is pretty much impossible most of the week. Not that I don’t try, but really, who wants to wait until 9pm to have dinner? Even in the summer both boys have plenty of activities, plus my teen is in marching band–the sport for musicians. 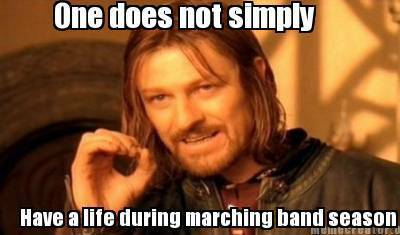 Like football, the band started practicing in June, which means my 16-year-old needs to eat at 5pm twice a week. My husband usually doesn’t get home until 6pm. Which means I’m either playing short order cook, or someone’s getting leftovers. When school starts up, it’s just going to get worse. That’s why I came up with some desperately needed dinner hacks to keep everyone happy and fed when dinner time gets crazy. My husband has really been into grilling this year! 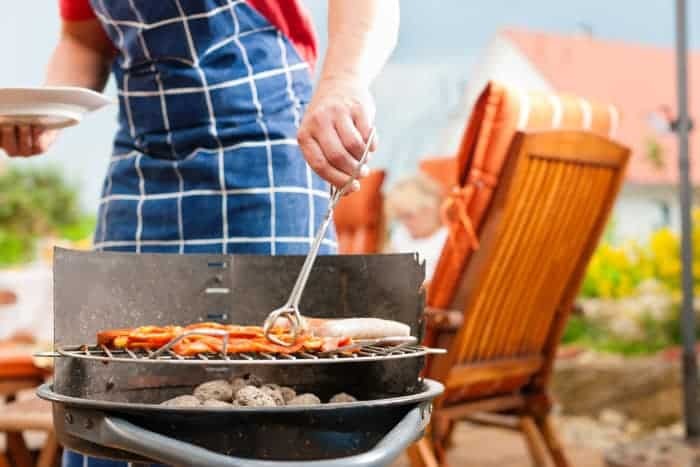 You wouldn’t normally think of a charcoal grill as your lifeline to quick weekday meals, but this is my #1, sanity saving dinner hack. Whenever my hubs fires up the grill he cooks two, if not three meats. He’ll fix a ginormous package of chicken and whatever we’re actually eating that day, like pork steaks or burgers. The chicken is saved for later: it will be chopped up for salads to take to work, and be the entree for the next day. Super Fast Dinner Hack: Slice up grilled chicken and serve with BBQ sauce on a bun or with salsa for super quick fajitas. Because the chicken is pre-grilled, I can either fix a single meal for my teen, or something for the whole family in record time. I love using ground beef as a fast dinner hack! I buy ground chuck from my meat market in five pound packs (it’s cheaper that way) then make the whole thing into patties and toss into the freezer. I don’t bother to thaw the meat first if I’m making tacos or sloppy joes, just stick it in the pan (on low) and put a lid on it to steam the meat for speedy cooking. 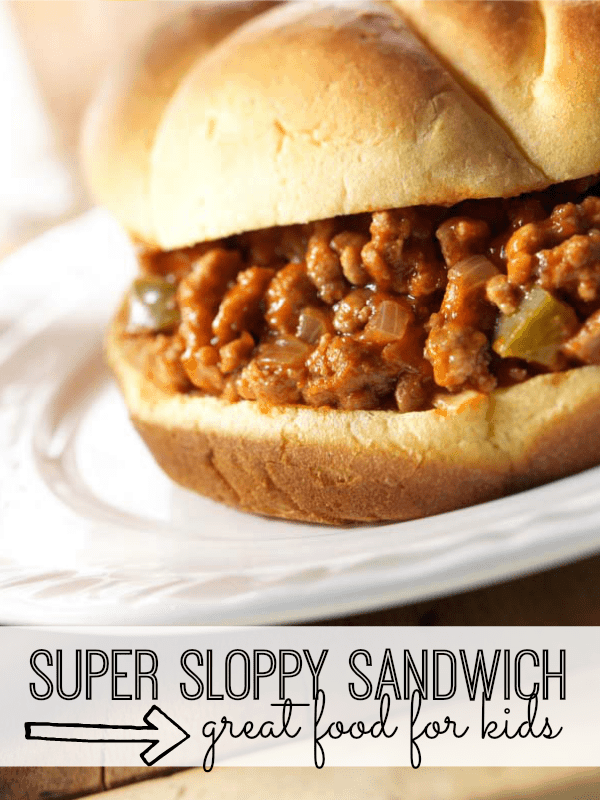 Here’s a recipe for kid created, kid approved sloppy joes from My Life and Kids. Super Fast Dinner Hack: Pre-cook meat with your favorite seasoning, like onions, salt & pepper. Then freeze in dinner sized portions! Add sloppy joe sauce for sandwiches, or have pasta night with noodles and spaghetti sauce. When I need to get a hot meal into my teen fast, his favorite has got to be toasted cheese sandwiches. But, wait! We took a cue from those gourmet food trucks and jazz up our toasted cheese with whatever lunch meat and leftovers are in the fridge. Cheese, ham and BBQ sauce. Cheese, corn beef and Thousand Island dressing. Or his favorite, cheese, ham, macaroni AND baked beans. He is a teenager after all. Need more ideas? 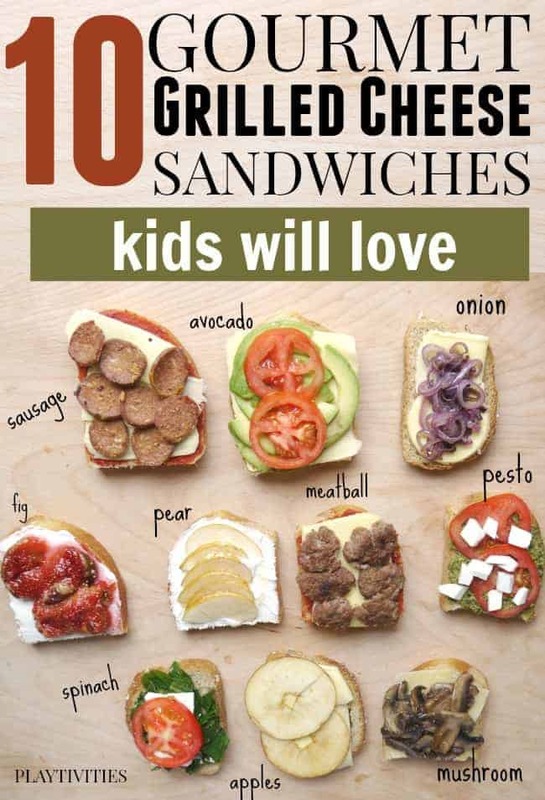 Here’s 10 Kid Approved Grilled Cheese Recipes from Playtivities! 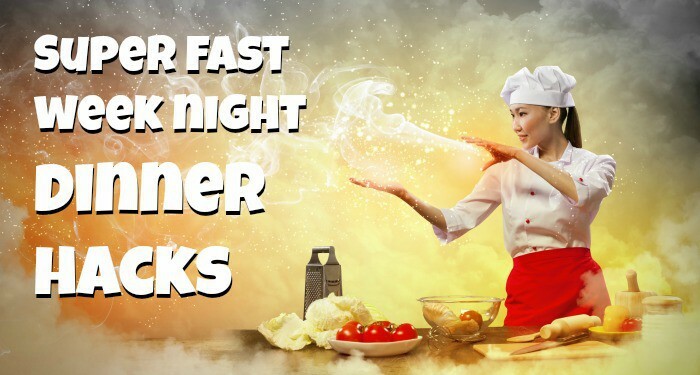 Super Fast Dinner Hack: Make gourmet toasted cheese and ham sandwiches for a lightning fast weeknight dinner. One skillet meals are a good bet when you need to keep dinner on hold for a couple hours. I like to fix a one skillet meal early enough for the kids to have before their activities, then hold it in the oven for the hubs to eat when he gets home. My personal favorite is Italian sausage with penne pasta! Cook the noodles in a deep skillet, drain and set aside. In the same skillet, fry the sausage, then add pasta sauce and the cooked noodles. Top with cheese and boom, dinner is served! 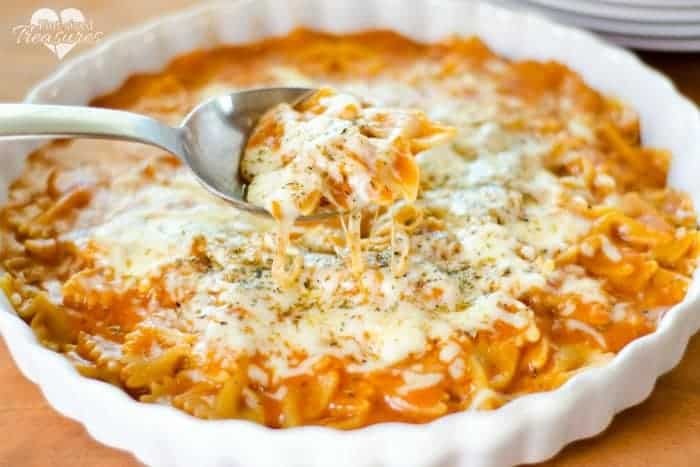 You might also want to try this 15 Minute Cheesy Italian Pasta Skillet from Pint-Sized Treasures.